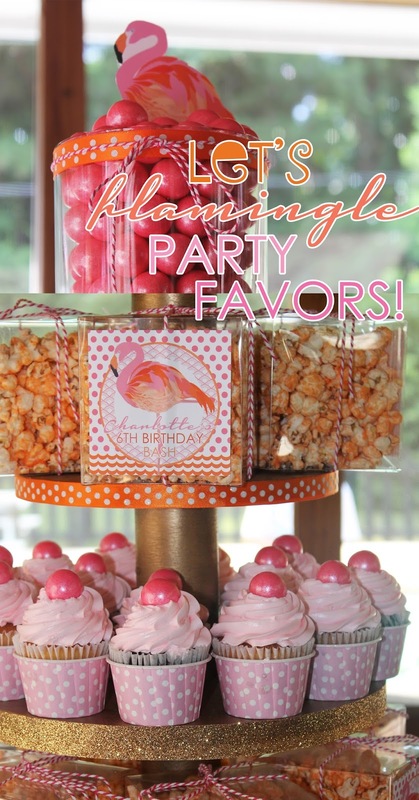 This might be one of my most popular birthday themes to date at Party Box Design! 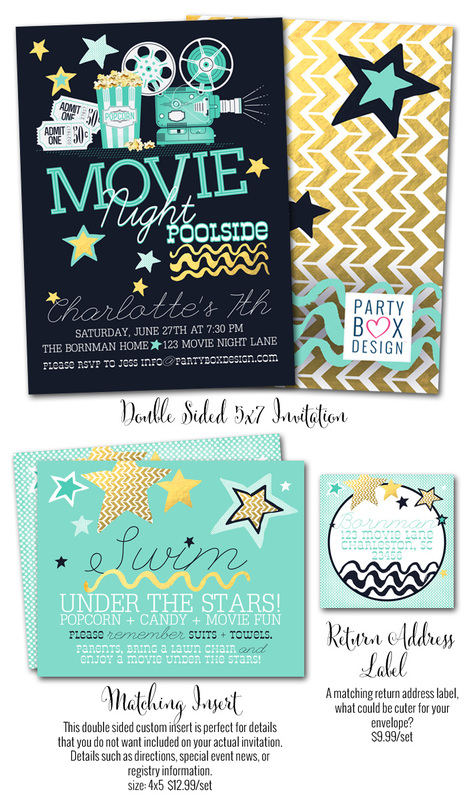 I can't tell you how many movie night invites I have shipped out + digital files! The reason being, it's such a fun party for kiddos and adults. To sit outside, swim, float and watch a movie, just the most perfect Summer evening. Plus this party can be done on a budget, which is always a bonus. 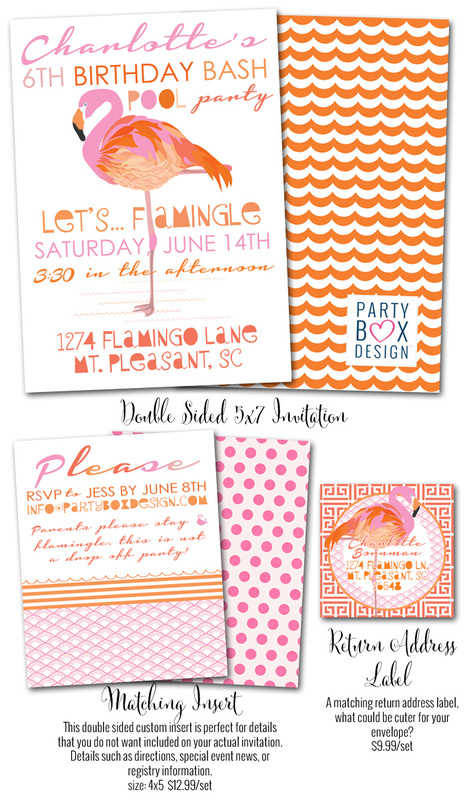 You can purchase the invites above in a digital file for only $16.99! For this party I went ultra simple and the kids still had a blast. I focused on a snack bar + popcorn + drinks! You can buy candy + soft pretzels in bulk at Sams Club and make your own popcorn! I did provide some delish adult beverages as well, but of course had to create some fun beer labels to match the party theme! I actually bought this really yummy beer called not your fathers mustache, it tastes exactly like root beer, but contains alcohol. Literally the most perfect drink with some salty popcorn! This has been my most chill party to date, and instead of running around like a nut job, I actually relaxed a bit and enjoyed the movie with friends + family. My daughter picked Pippi Longstocking, a total classic. Oooo I purchased the simple banner from target and the popcorn boxes from Home Goods. 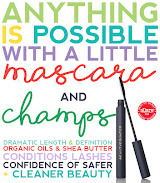 All super affordable and matched perfectly. 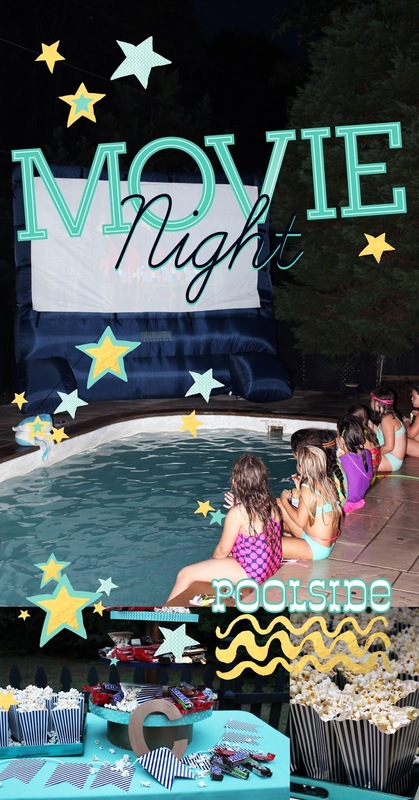 If you are planning a movie night soon, hopefully this post can offer a little affordable inspiration. I like to include some fun details, while also saving some money! 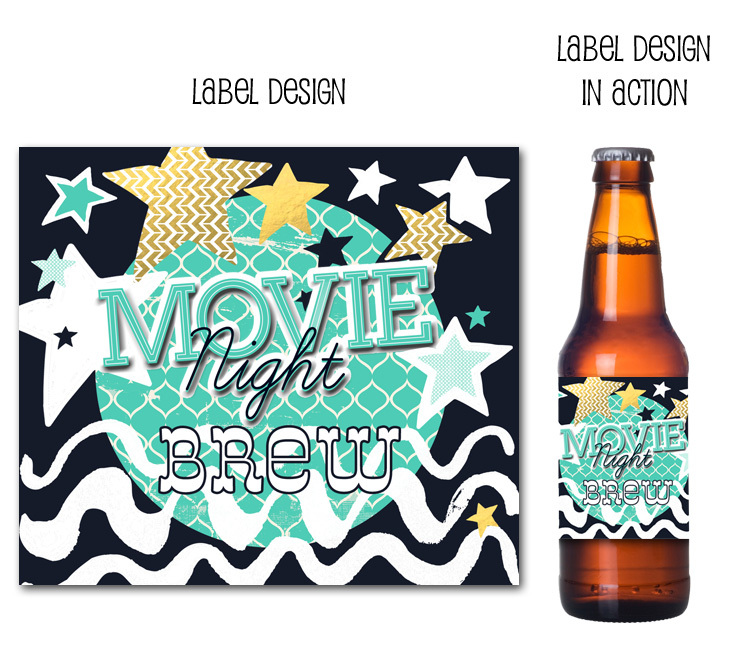 If you get beer labels, buy a digital file... if you want printed invites maybe buy coordinating printables! 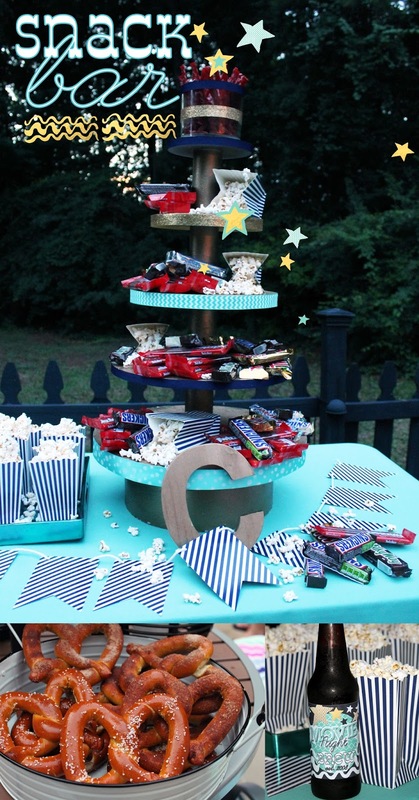 Happy party planning and be sure to visit Party Box Design for more inspiration! I love to cook and entertain! Often times I will pull up a recipe on my phone and cook right from that. I will have to refresh a bunch of times, but it does the trick. I started pinning recipes last year, and have compiled over 150 that I really love. Sometimes my friends will text me for dinner ideas, which is uber flattering. Anyhoo, if you are in need of a simple dinner, or a yummy dessert check out my pinterest page for some great ideas. Happy Monday y'all! I love flamingos, my daughter loves flamingos... I mean really, who doesn't love flamingos?!? For Charlotte's 6th birthday we hosted a really fun flamingo pool party. I feel like I need to say flamingo flamingo flamingo ten more times! HA! Anyhoo, I used a ton of items I already owned, which saved me oodles of money. Such as the gold beach balls, those babies were saved from our boardwalk party. I also ordered cupcakes from the grocery store and placed cute gumballs on top. Grocery store cupcakes are so affordable y'all! + placed in clear square containers that I purchased from Pick Your Plum. Printables, the best money saver out there. Simply order, print, frame and bam... a super gorg visual! Because we have a pool, I always ask parents to stay during our parties. 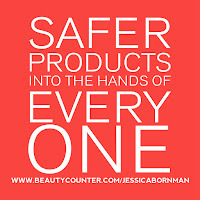 I know MOST parents love a good drop off, but safety comes first. For this reason, I do like to have a few fun adult drink options for parents. PLUS I have to pimp out Party Box Design. After all this is what I do for a living!!!! For this party I designed the most fabulous beer bottle labels and water bottle labels, plus some amazing drink flags! Leading me to straw flags, which I am obsessed with. 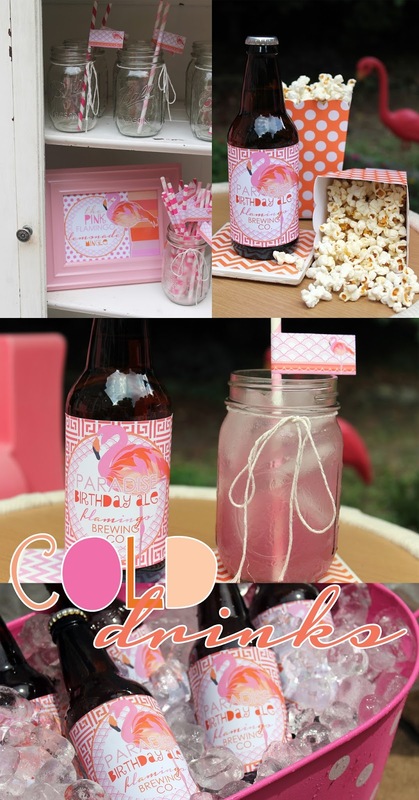 Talk about affordable fun, especially when paired with twine and a mason jar! 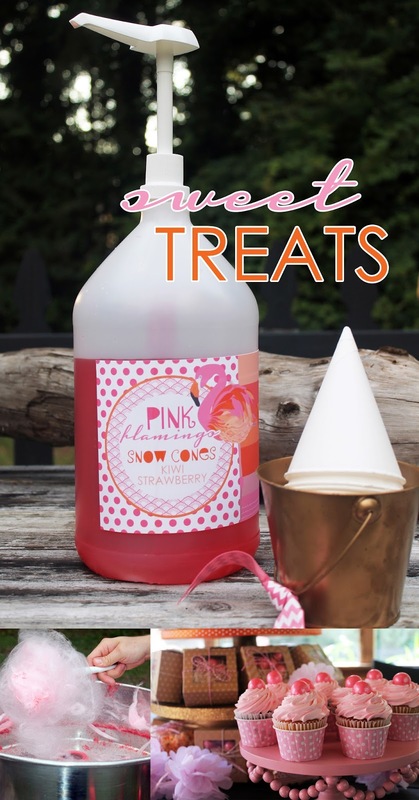 I did splurge on the sweet treats, renting a cotton candy and snow cone machine! The children were so excited and these two items really added to the party. It was so dang hot, and the smiles on their faces made it all worth it. I will also say I used a lot of spray paint to change the colors on my cake stands, picture frames and metal containers. Spray paint is a party girls best friend, especially one on a budget. 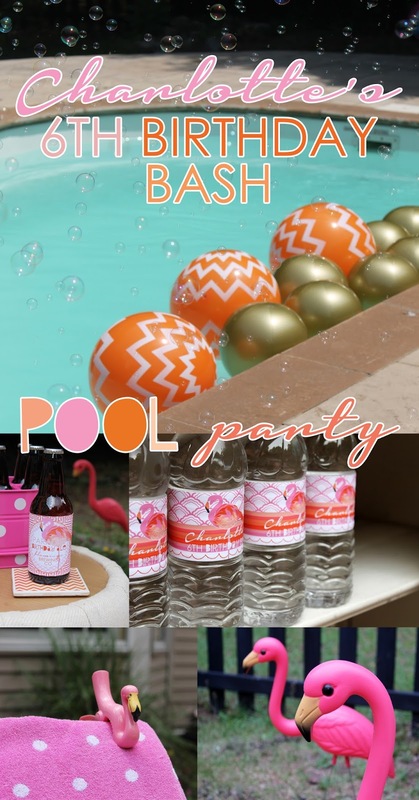 I hope you can find some inspiration in our flamingo pool party + share share share! My goal is to offer y'all ideas on how to throw a fabulous event while not breaking the bank. My daughter had the most amazing teacher this year, and I found the perfect way to say thanks! 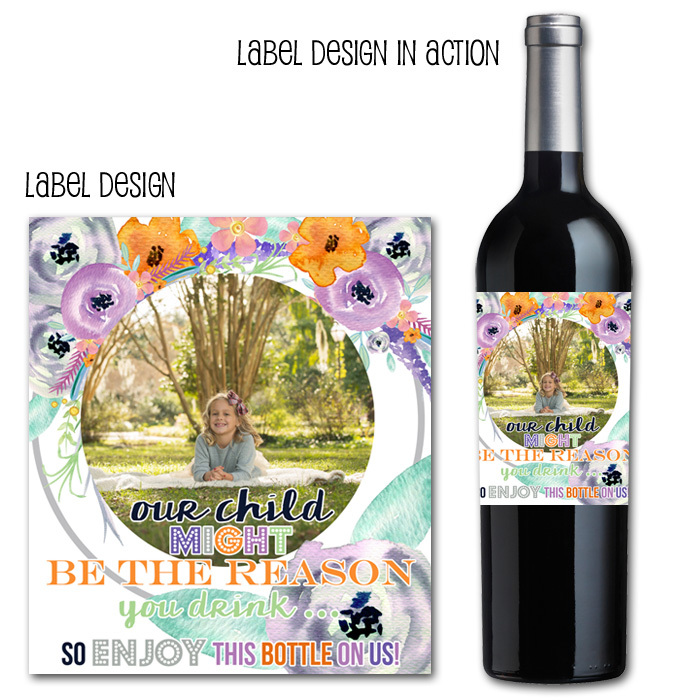 I created a personalized wine label, placed it on some wine and bam... the most adorable gift. 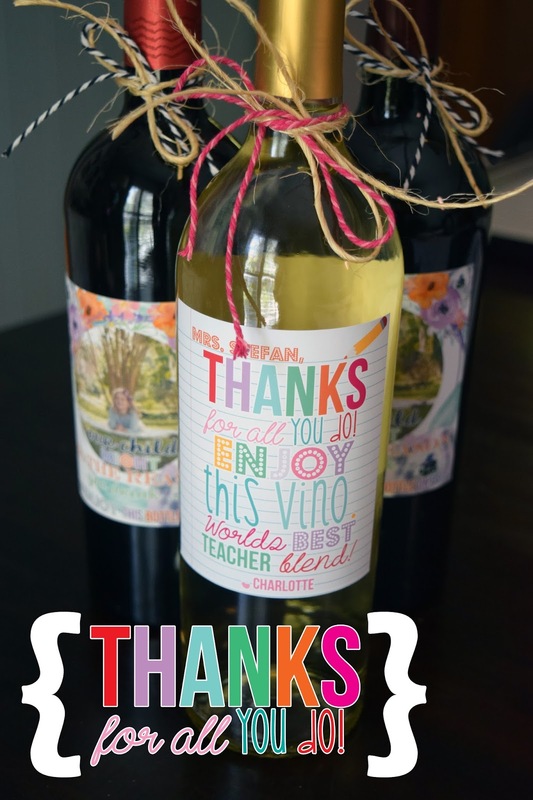 I did also create another wine label, that I gave to the principal! It's a bit cheeky and meant to be light hearted fun, nothing too serious! This label gave me a good laugh and placed a smile on the principals face! Seriously the most fun teacher appreciation gift ever! 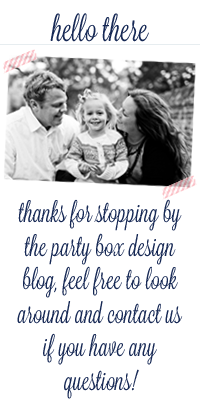 Eeeek ok, so no biggie... but 100 people read my previous blog post, so that means a few people are out there still following Party Box Design! It's a far cry from where I was, but I'll get back there and it's a start! I'm thrilled! 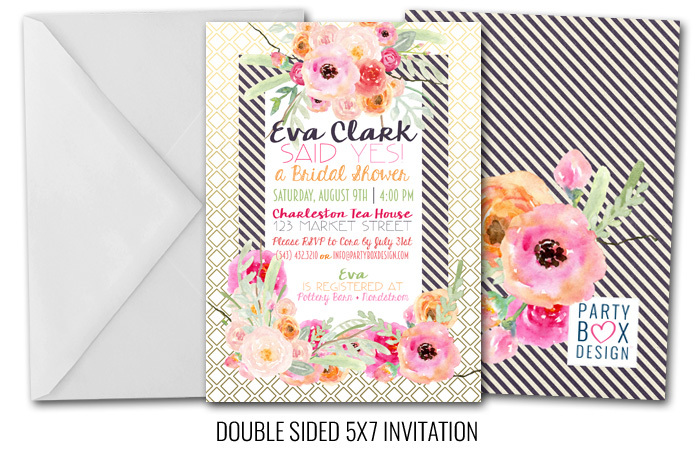 I recently designed the bridal shower invites above because I just love stripes + florals! 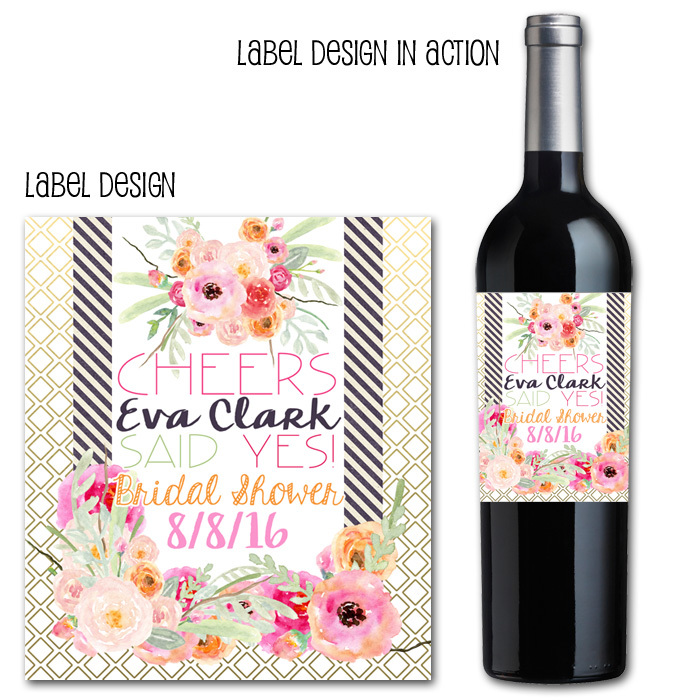 The design was so fun I also added these champagne or wine labels! Well, it's not cold outside, but this baby sprinkle sure is cute and fun to share. These photos have been on my camera for months. I guess that's what happens when you have two busy kiddos, one being a toddler. and I wanted to throw her a little something to remember. I didn't have a big budget, but still wanted it to look nice and mostly make her feel special. Sooooo I included the basics and focused on stuff I already owned. Like the adorable "baby it's cold outside" sign + small holiday tree, oh and the ribbon, I always save ribbon. I purchased a table cloth from Homegoods, the straws from the dollar bin at target and some affordable champagne! I wanted to be sure to personalize a few items with the baby's name, since that's so neat to see as an expecting Mom! These champagne labels were just perfect, only $2 each and they really make the champagne look so dang cute. I also gave the Mom-to-be a bottle to open at the hospital after the baby arrives. 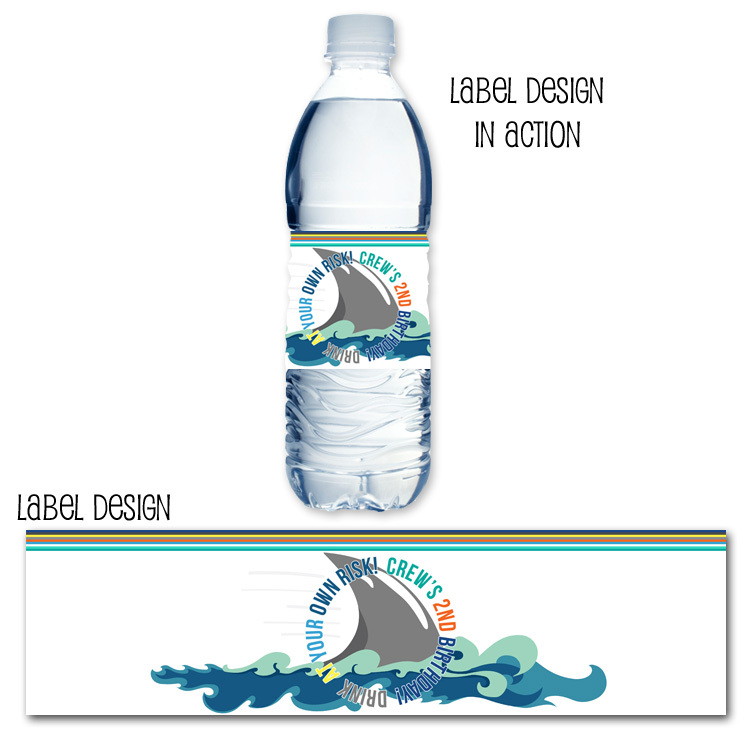 I created some fun water bottle labels as well, also an affordable addition to any shower! You can add them to the table as decoration! 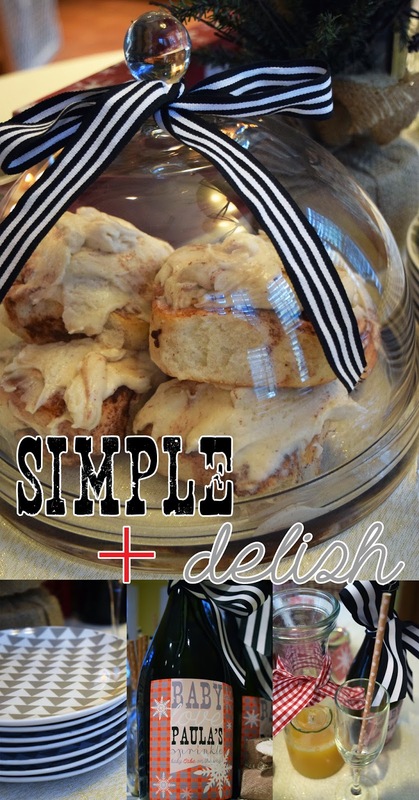 Food wise, I went simple + delish... who can resist cinnamon buns?!?! I hosted a morning brunch and just included the basics. Coffee + Champs + Cinnamon Buns + Egg Boat! The guests were happy and had full bellies! This little baby sprinkle was thrifty and no one even knew! I have a tighter budget these days and I want to share how possible it is to throw something fabulous without breaking the bank! 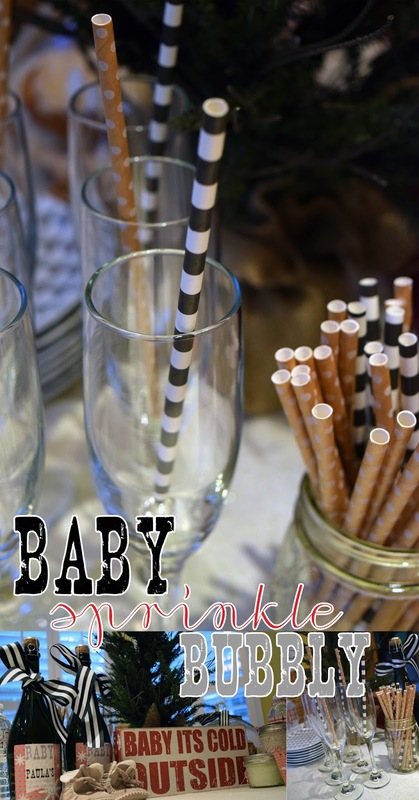 The little extras go a long way, like fun straws, pretty ribbon, nice labels and definitely a fabric table cloth! I hope this post brought y'all some inspiration because it took a year to type out with a little toddler sitting on my lap. Haaaa! 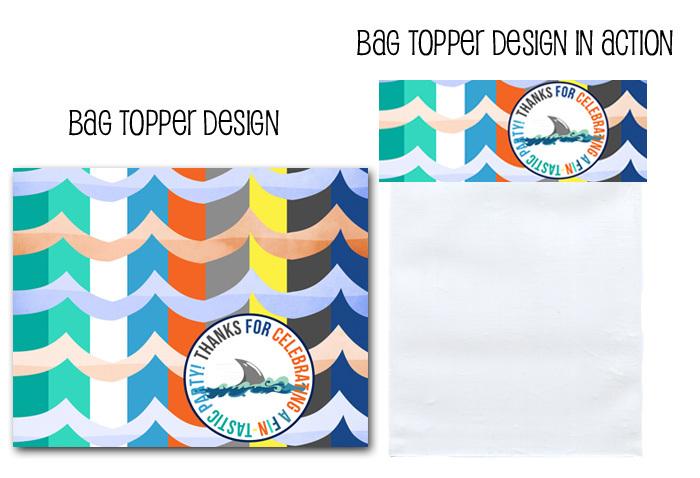 I used to share all our new designs here on this blog, unsure if people actually saw them. Considering I can't afford advertising... I'm just going to hope! 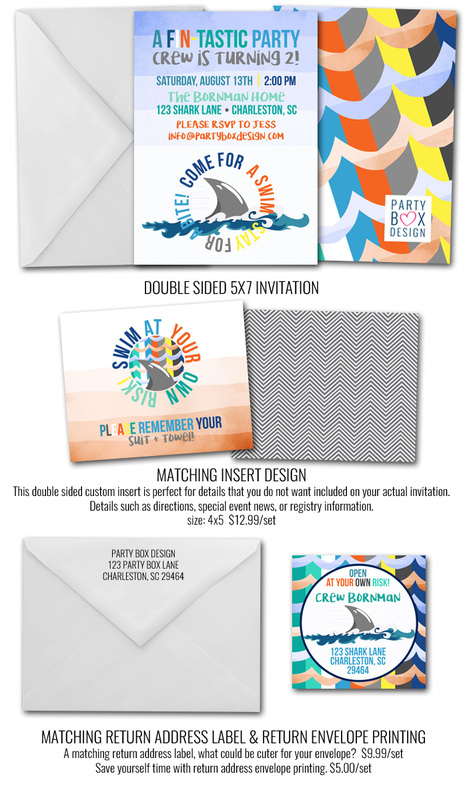 This shark birthday party invite is pretty fun, and I love the colors + patterns. I created a bunch of coordinating items as well. 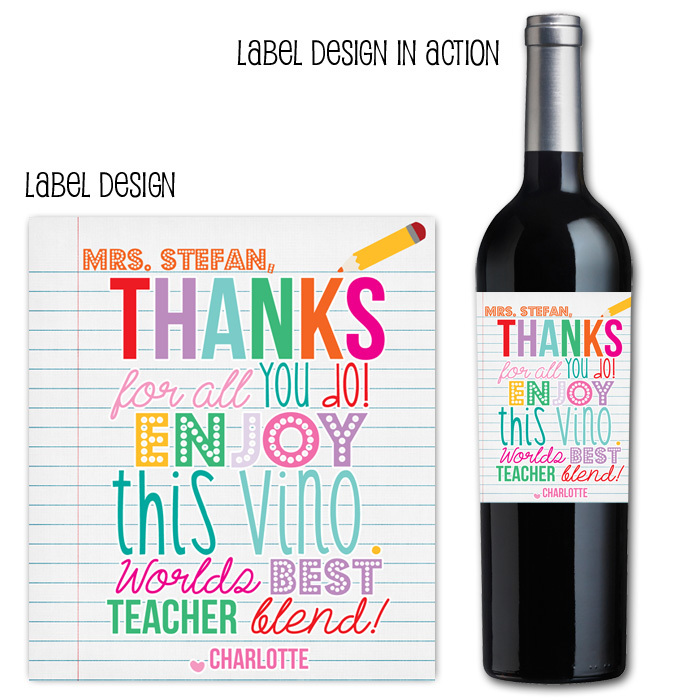 Like water bottle labels, note cards, printables etc.! 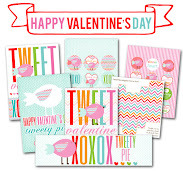 You can view all these items over at Party Box Design. Just sharing these in a quickie blog post because my almost two year old is making it a bit difficult to type!!! He has somehow lost a ball under the depths of the sofa and can't get it out! Blogging with a toddler is going to be interesting! I'll blame any typos on him! WOW... it's been a while since I have blogged. I actually don't even know if people read blogs these days. When I started Party Box Design, in 2009 I had big dreams... I was naïve and not biz savvy. My artistic style and the driving desire to succeed carried me for quite sometime. UNTIL facebook started charging for post views, and slowly everything else started changing and slowing down. I had a baby, life got busier and my dreams of a thriving business got pushed aside. Life has thrown us a curveball and I now need to get Party Box Design rolling again. It can't just be a hobby, I need to put food on the table and keep a roof over our heads. I think being vulnerable will also make me stronger(I hope). I created something special before and know that I can do it again. My invites are fun, colorful and bright. The paper quality and printing are amazing. I think my pricing is pretty dang fair too. So if by any chance, you happen to read this random blog post please give us a chance. Please share this little biz of mine with your friends or family who might be looking for invites, or party décor, etc. Hey, it's never too late to start over right? Anyhow, I am going to be blogging more. I need to focus, to create a job for myself. I am starting over and not looking back.